The dimensions are 12" x 7.5". I clamped three pieces of 2.5"x3/4" Maple together with bar clamps, glued with Titebond III, which is waterproof, and FDA approved or so I am told. I then hand sanded it, and rounded the edges so everything was smooth and flush. Lastly, I used mineral oil, which is food safe and rubbed it in by hand, giving it time to soak in over night, and wiping off the excess in the morning. I did this a couple of times, and it is now ready for me to mail off to my mom. I'm really happy with the results. 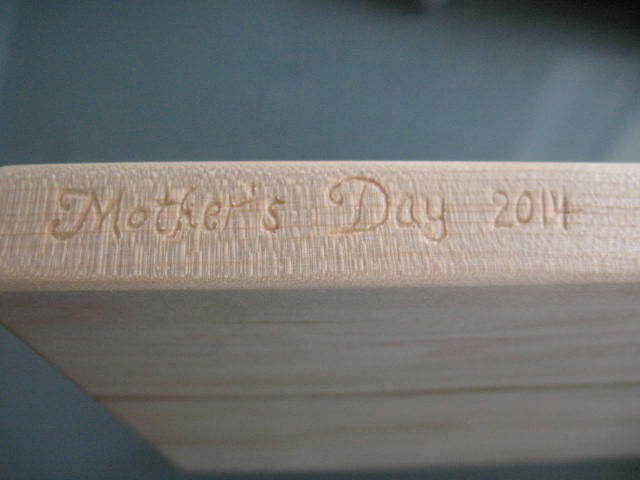 For Mother's Day this year, I decided that I was going to try my hand at a new project. I made a custom cutting board from strips of Maple. 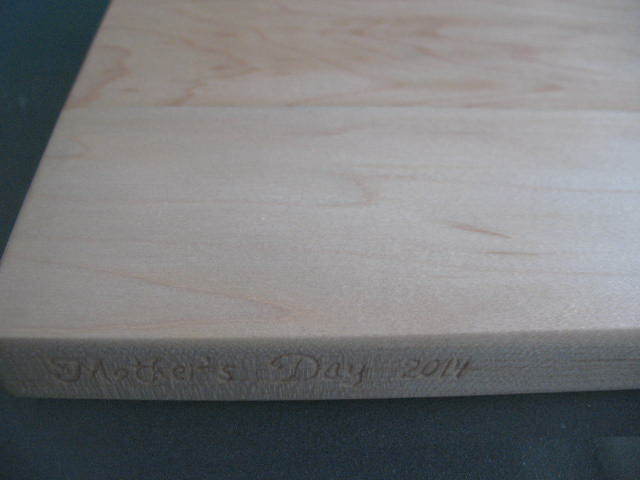 Afterwards, I printed a font from MS Word with what I wanted to engrave onto the cutting board, and taped it to the wood. I used a Dremel and my needle files to complete the message after practicing on scrap wood. 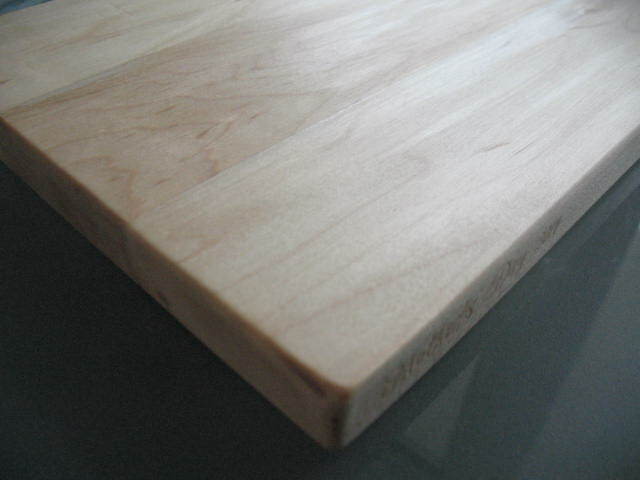 To get technical, this is considered a face grain cutting board, and will show the cut marks more than an edge or end grain. The upside, is that a face grain should absorb fewer odors and stains. 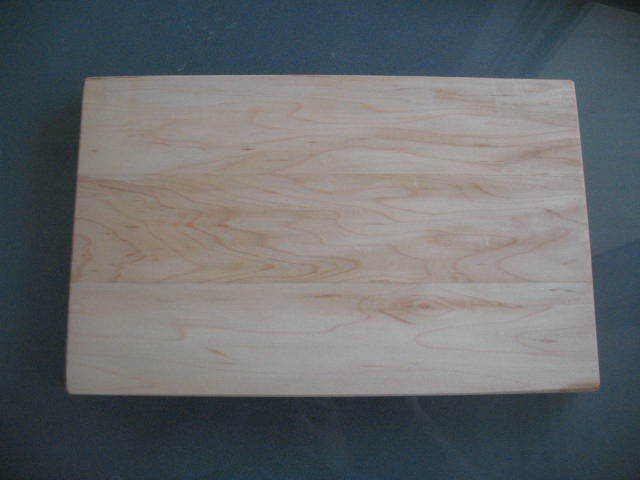 It will need to be re-oiled periodically to maintain it's finish, and cut marks can theoretically be sanded down. I'm really happy with how this turned out and it won't be the last cutting board I make.